It all started with Chompers the corgi, starring in a video to sell a San Francisco home in 2015. Then in Tiffany, a 5-year-old Shih Tzu mix whose owner, a real estate agent in Australia, started placing the pooch in listing photos, resulting in “nearly double” the page views and a slew of sales.Then the furry floodgates opened wide. Now there’s even a website, Pet Realty Network, devoted to helping animal lovers find pet-friendly real estate agents and property.Please, Mr. PostmanSend me news, tips, and promos from realtor.com® and Move. 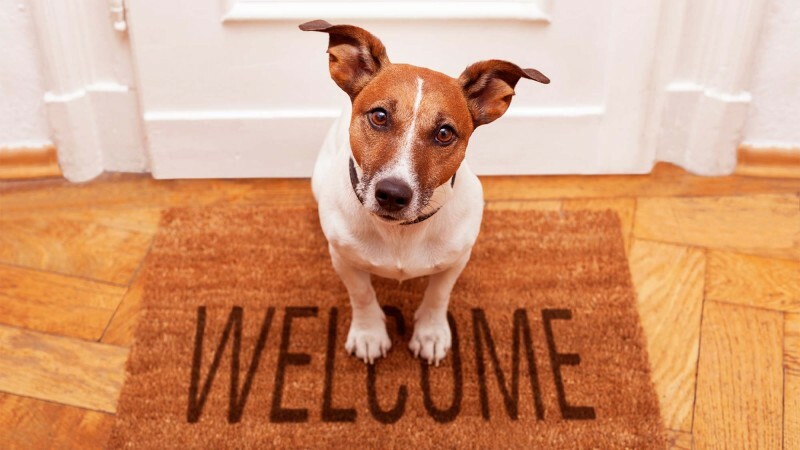 Sign UpNot too long ago, pets were considered a serious hindrance to the home-selling process—cuddly companions that should be hidden at all costs. So what caused the change of heart?For one, the ever-growing number of animal lovers—56% of homes now have pets—may have helped turn the tide. But more than that, furry faces are just plain good advertising, touching on our emotions without getting too personal. The Internet proves this thousands of times a day when videos such as “Cat vs. Cucumber: Guess Who Wins” get a zillion views.When used for real estate purposes a pet “solidifies the American dream: the kids, the dog, the whole package,” explains Sherron Lawrence of Realty National.So how do you leverage Quilty the canary dog to help you sell your place?“It’s all about showcasing the attractive things and putting away the unattractive,” explains Kyra Frankel of White Space Staging. If you’re wondering where to draw that line as pet owner (news flash: not everything Olly the dachshund does is cute, endearing, or irresistible), here are some tips for every area of your home.EntrywayOne way to win over pet-loving home buyers as soon as they walk in the door is to show off that essential accoutrement you grab every day when you take your dog for a walk: the leash.